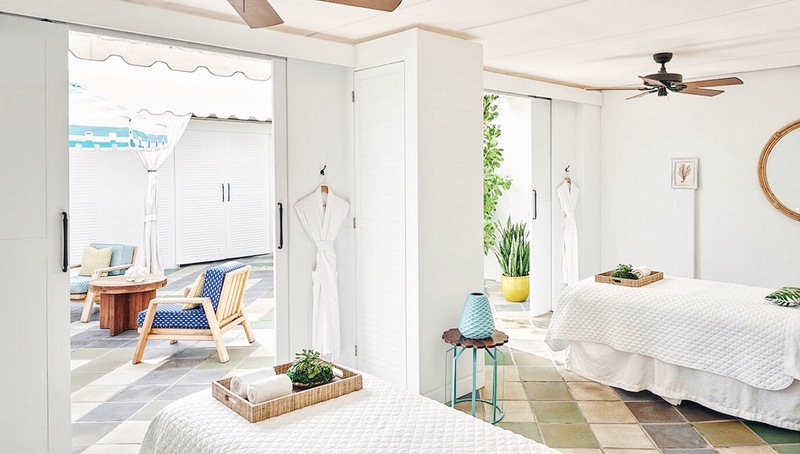 Miami Beach Spa Week is coming up in July to August, that means it’s the perfect time for you to take on the opportunity to treat yourself and relax! 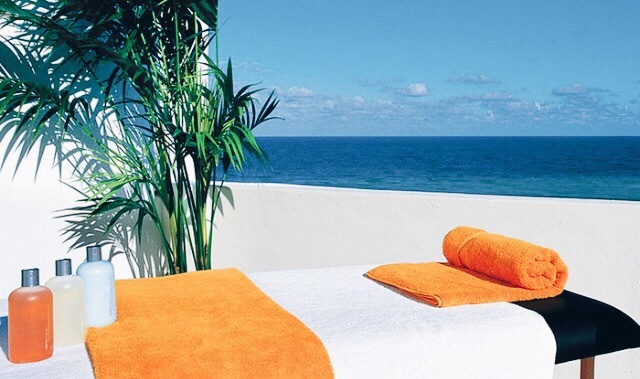 Spa Week in Miami means $100 spa deals at most hotel spas or local spas in Miami Beach. You can definitely score a good pampering if you’re planning to visit around this time. Imagine this: getting a good massage, lounging by the jacuzzi and pools, and sun bathing on the beach. Doesn’t it sound like such a fabulous day? Have no idea where to start looking for the best spots? Well I’ve got it all covered for you! In fact, I visited two locations during my trip in Miami Beach! So I’ll be able to review for you two spas, plus others that I did much research on and would love to visit! I opt. for a 50 minute Swedish Massage at this spa and it was amazing. The massage is done at a covered outdoor patio setting. It was well ventilated with AC, but you could also smell the ocean breeze as well. It really had the perfect relaxing ambiance. My massage therapist was Amonise and she is such a sweetheart and her massage was the best I had in a long time. I’d definitely go back to her! Did I mention, they also have a Salon here for hair cuts and blow outs? Perfect for if you want to set your hair for a night out! If you’re doing a spa package, it will also give you free access to their pool area and facilities. 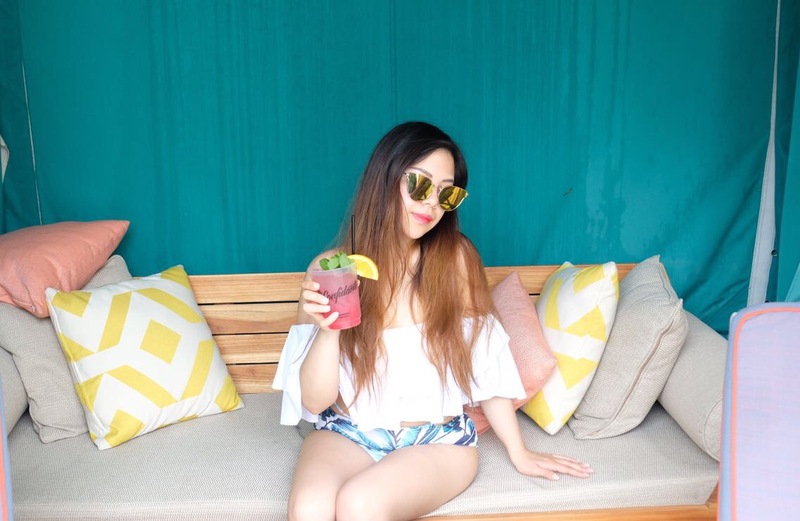 They have many lounge areas, an awesome pool bar, an outdoor restaurant, pools, cabanas, foose ball table, ping pong table, and more. It was so much fun spending an afternoon here! And the beach is just steps away! They have so much offered there, staying there would be such bliss, even though there is a resort fee! They also offer V Art of Wellness Classes at 10am each morning, which includes different types Boot Camp classes, Yoga, and Aquatic Classes. The scheduled type of class varies day to day, but is available 7 days a week! Here I tried their 50 minute Swedish Massage. I was directed to the changing area and given a robe. They had showers and all amenities needed. Then, I was directed to a waiting room, where I could relax and sip on my cup of chamomile tea. It also led out to the patio where I could see over their pools and the beach. Very relaxing vibes indeed. My massage was by Laura who was a gentle massage therapist. If you’re looking for a relaxing feel good massage, she’s who you want to look for! No muscle soreness after, since it was more of a relaxing massage rather than a deep tissue. This one is gorgeous and I don’t have enough good things to say about it. I would’ve hit this one up myself if I had more time, but my time didn’t match up, so I don’t get to review this one for you personally. This place is really like a paradise. Their spa has an extensive spa menu and so many awesome amenities too: from mineral pools, massage jet showers, to eucalyptus steam baths! And did I mention their how beautiful and scenic their pool area is? Well, trust me. This place is definitely the kind of place you want to be to Relax, Restore, Rejuvenate. And you will definitely not regret spending and entire day here. This one is luxurious and beautiful. It’s a recommendation from another blogger friend I have who is a local and lives blocks away. She says she is a regular there and can not give it more praise. It offers awesome spa menus, facilities and has awesome fitness classes including Barre, and Yoga! This one is another recommendation by her. Honestly, you can not go wrong with the Standard! It’s modern, clean, and sleek. And yes, they offer Yoga and Fitness classes as well! An awesome place for any traveler to unwind! I hope you guys enjoyed my list! I only pick the best and most affordable for you. 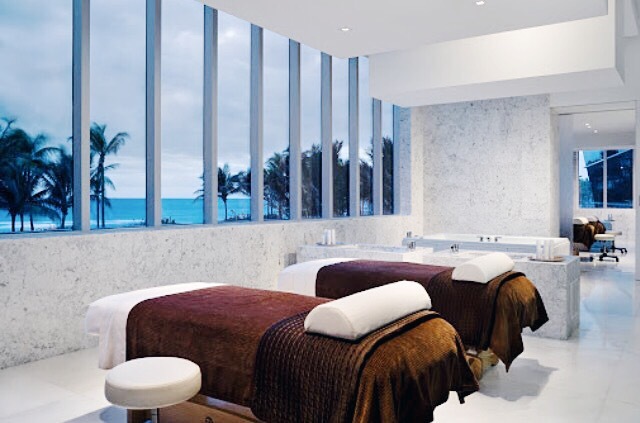 Check out more information regarding Miami Spa Month on this website. It’ll have a list of participating spas as well! 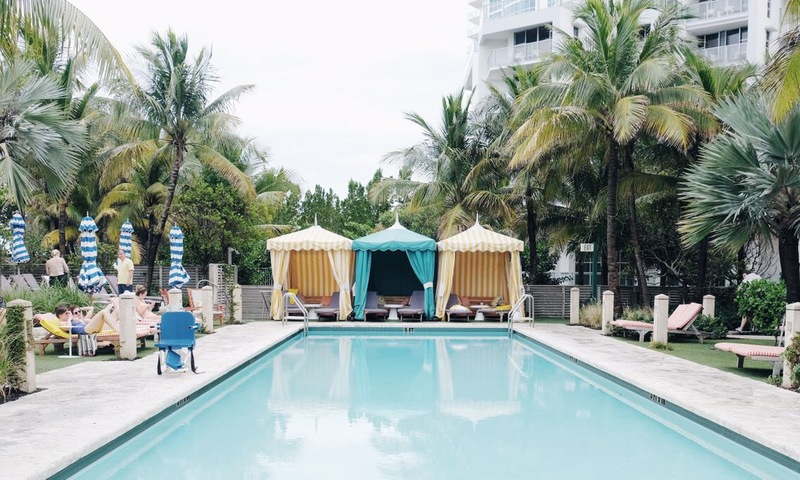 If you’re planning on visiting Miami Beach, do let me know how your trip goes! And if you’re not going on vacation yet and need to relax, check out my tips on how to slow down and reset busy lives here! Have a relaxing weekend everyone! Previous Post THREE Ways to Slow Down & Reset! Looks amazing actually. I would kill for a yoga session followed by a deep tissue massage and a day on the beach. Sounds pretty much like heaven right about now. That’s for your review, it was a good mine escape for a little while! oops that should say THANKS for your review. Oh my goodness what an awesome thing for spas across Miami to be doing, if I was close by I would totally head to one to take advantage. I love this idea, how cool that spas across Miami come together to do such a thing, if I was close by I would definitely be taking advantage. I love a good spa session! Thanks for sharing your experience! Is that a high waisted bikini in the first picture? If so, where did you get it? I’m in love! Hi! Yes! Check the bottom of the post for links! They’re by Oshlen! Oh my goodness, these look fantastic! I could definitely use a spa getaway right about now! I have never been to a spa before. That pool looks absolutely amazing, and so does the room and the view! Omg I’m in love!! and I love your bathing suit! I don’t usually go to spas either, but it seems like you had a relaxing and enjoyable time. The scenery and the amenities look really good and lush! Wow, it looks absolutely amazing and such a great place to unwind and truly relax! I love the ambiance and decor with the fun pops of color, so refreshing! Thanks for sharing and I hope you’re having a great week so far! I have never been to a spa. I would love a spa experience. These spas sound amazing and relaxing! Too bad I am not closer to Florida. I love a summer trip to a spa, and your suggestions look brilliant, perfect for a relaxation session. This is going to be a fantastic trip. I would love to get a 50 minute Swedish Massage . Miami looks amazing. My son was just there and I wish I had been too. Thanks for the vicarious living through you. I have lived in Florida majority of my life, but I have never been to Miami. If I ever decide to take a trip down there I will keep these places in mind. Thank you for the review. I love a good spa day. Everybody deserves to have a relax pamper day! Looks like a great place! vacay vacay… vacayyy!!! These spas look so relaxing. Next time I go to Miami I’m certainly going to make an appointment at one of these places. Spa days are so nice!!!! I’m having a girls date to one on Monday!!!!! Yaaaaaay! This made me even more excited about it! Yes please! I’d love a trip to the spa. This area looks so amazing. I know I’d be happy and relaxed here. You’re pictures are beautiful! 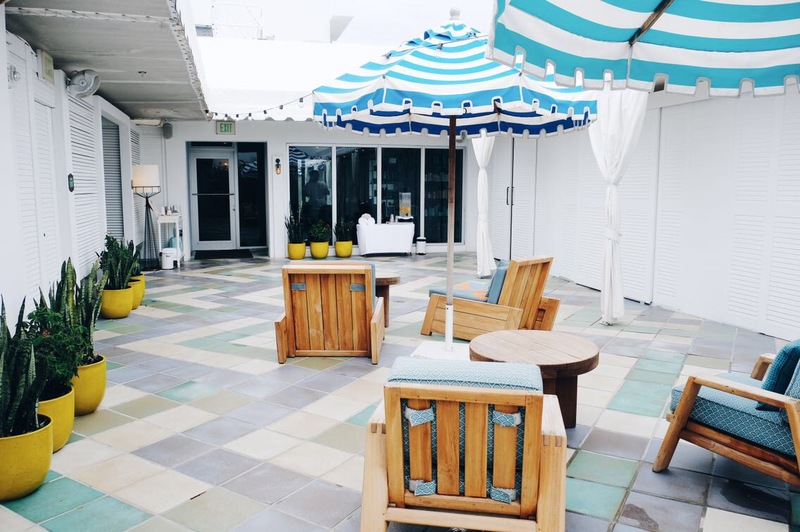 The Shore Club is always a staple must visit when in Miami! Hope you had a great trip!!! Omg I would love to retreat to that beautiful place! I would come out feeling so relaxed! The cabanas are so cute! Miami spa week? Sounds like it’s the perfect time to take a vacation! Everything looks so beautiful there. This looks like such a beautiful relaxing retreat. I need to do something like this to pamper myself I have been working so hard. You look absolutely stunning as always. Looks like its ben a good trip down to Miami. I could definitely use a spa trip. OMG! Looks like an awesome place! I’d love to go to a place like that one day just to relax and all that! I hope you had a wonderful rest and relaxing time there boo! Oh gosh! I am so jealous. I need a spa day myself but I just couldn’t get myself out there. That place looks so amazing. Am dreaming Miami every summer. I love this spa special treatment and the promotion is very enticing. Plus its Hyatt!